Brytne Kitchin is engaged in an active regulatory practice with experience in complex litigation matters in state and federal court. She represents clients with obtaining regulatory approvals, including certificates of authority from the Texas Department of Insurance, and certificates of convenience and necessity and rate adjustments from the Public Utility Commission of Texas. 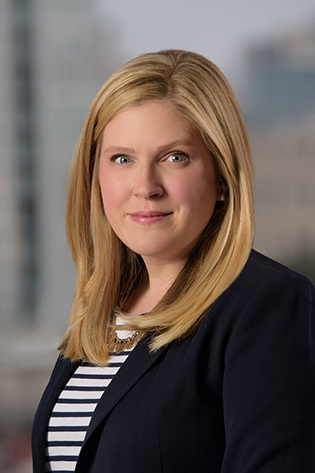 She provides counsel to water, energy and healthcare clients in administrative proceedings and litigation, as well as counseling on operational and regulatory issues. She also assists clients with entity formation, trademark renewal applications, post-data breach compliance and data security protocols. Represents clients in contested matters and administrative and state-court appeals before various state agencies, including the Public Utility Commission of Texas and the Texas Department of Insurance. Assists clients with obtaining regulatory approvals, including certificates of authority from the Texas Department of Insurance, and certificates of convenience and necessity and rate adjustments from the Public Utility Commission of Texas. Advises clients regarding issues relating to Medicaid, Medicare, and other state and federal health programs. Assists clients involved in governmental contracting with protecting their confidential and proprietary information from public disclosure through open records requests made under the Texas Public Information Act. Defends health plans against provider claims for payment; business entities against claims for violations of the Texas Fair Debt Collection Practices Act and the federal Telephone Consumer Protection Act; and governmental entities against claims for civil rights violations. Negotiated a favorable settlement for a consumer lender in litigation claiming violations of the Texas Fair Debt Collection Practices Act and the federal Telephone Consumer Protection Act. Assisted in successful defense of County Sheriff’s Department against claims for excessive force. Assisted in successful defense of County against federal discrimination claims.